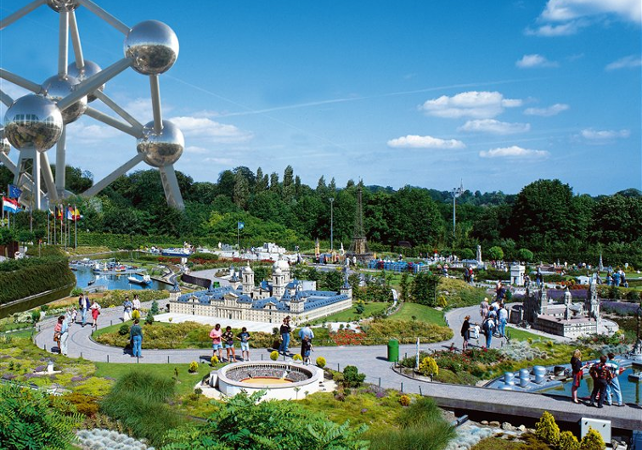 Visit two of the most popular sites in Brussels, the Atomium and the Mini Europe park, with your combo ticket! First, head to the Mini Europe park, which contains miniature replicas of 350 European monuments and more than 80 European cities! As you wander around the park, you will travel all over the continent, then enjoy an interactive multimedia route on the European Union. Then, visit the Atomium, a real symbol of Brussels. This popular tourist spot is an exhibition space that offers a spectacular 360° view over the Belgian capital. The 102-metres-high site is home to both permanent and temporary collections on various themes. Once you have collected your tickets, enjoy skip-the-line acces to the Atomium ONLY. The access to Mini-Europe is a simple entrance ticket. La mini Europe m'a surprise. Les pays de l'Europe se font bien représenter et les différentes interactions rendent les activités plus intéressantes. L'atomium et un grand monument, mais le temps d'attente pour prendre l'ascenseur ne vaut pas le coût. La vue est belle mais ne justifie pas la foule.